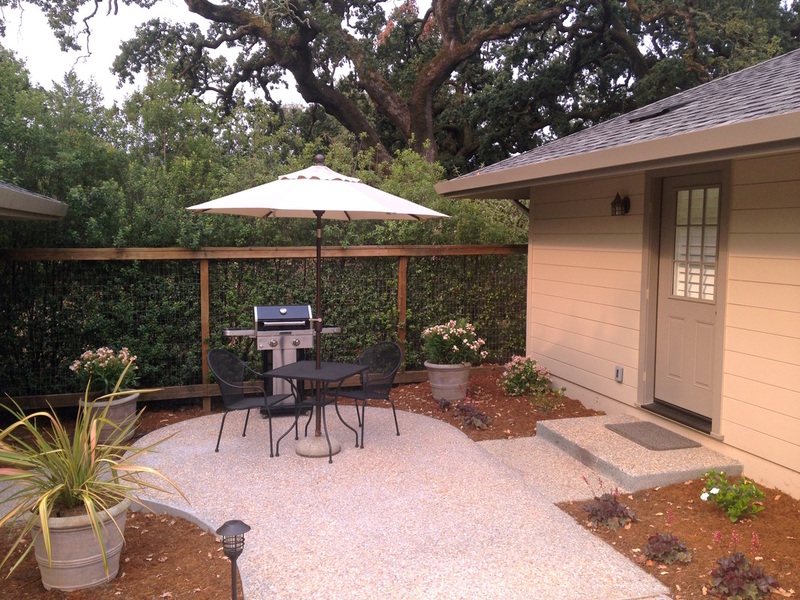 The Sonoma Rosso Guest Cottage is ready for you. 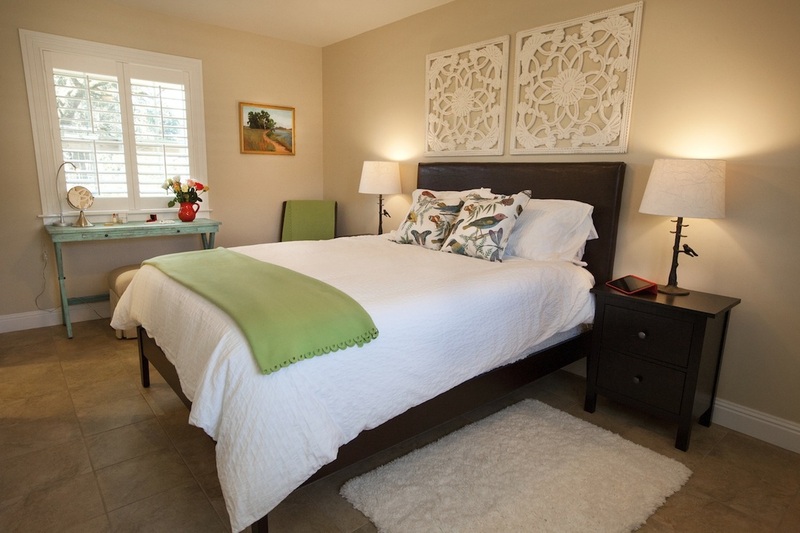 A well-appointed one-bedroom guest cottage for your weekend getaway, a week's vacation or a longer stay. 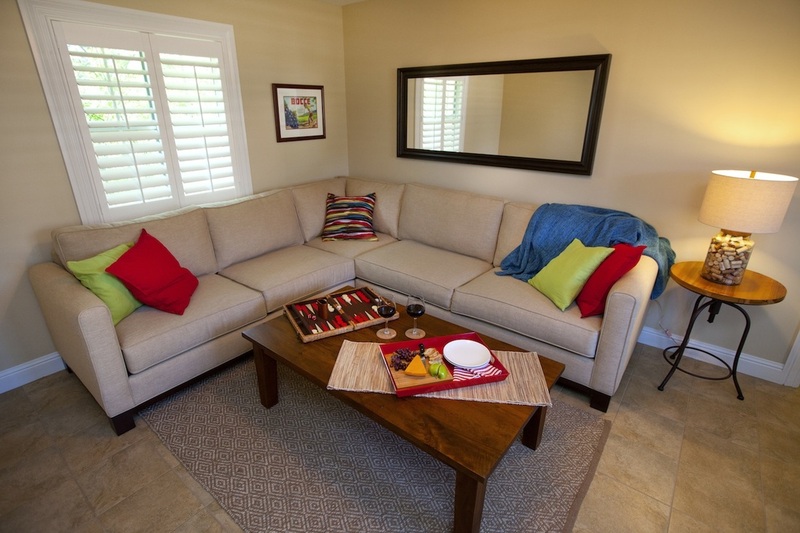 Relax in the living room with a glass of wine or watch a movie on an internet-enabled, 42-inch flat-screen television. Curl up in a cozy chair and plan your activities - the cottage has a basket filled with Wine Country guide books and maps. 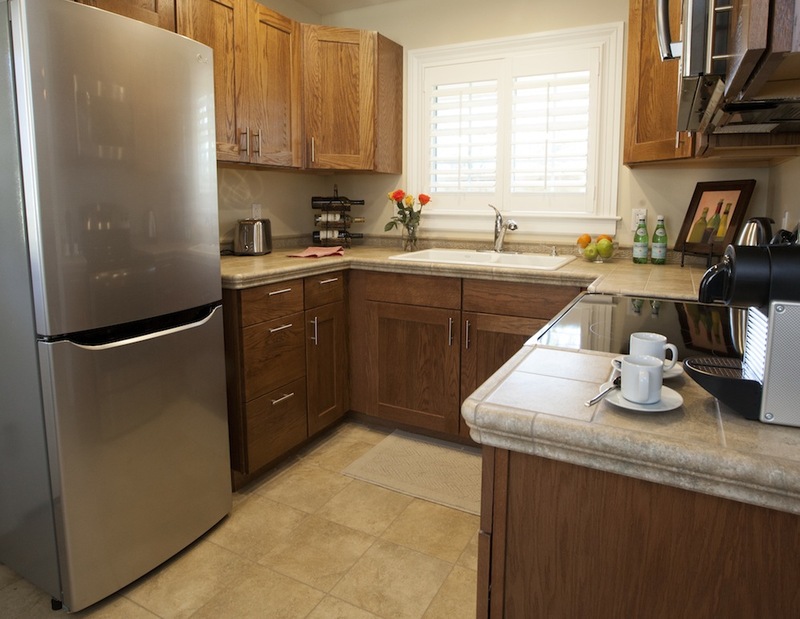 The fully-equipped kitchen has stainless-steel appliances, toaster, blender, electric tea kettle, French press and Nespresso machine. The kitchen is stocked with cookware, utensils, flatware and glasses - everything you need to prepare and enjoy a quiet meal in the cottage. Bedroom has queen bed with crisp white cotton sheets, plush blanket, duvet, your choice of foam, down and down-alternative pillows. The en-suite bath has a soaking tub and shower and is fully equipped with towels, spa robes and a hairdryer. 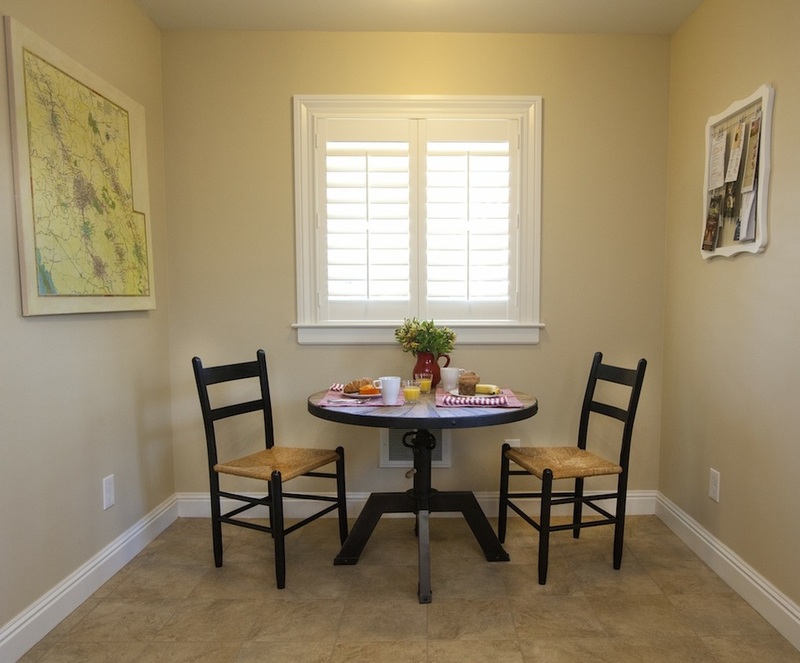 Relax on your private patio, with gas grill, outside the kitchen door. Visit our Amenities page to find out more. Ready to make a reservation? Check our calendar and contact us.